I know there has already been a simply large number of Sixth Sense build threads so I won't bore you with build stories. 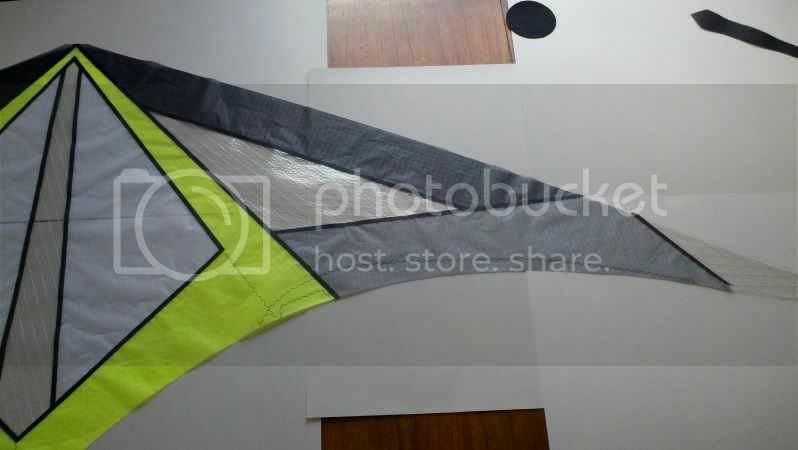 Here's a number of images I collected and just finished sewing the sail. 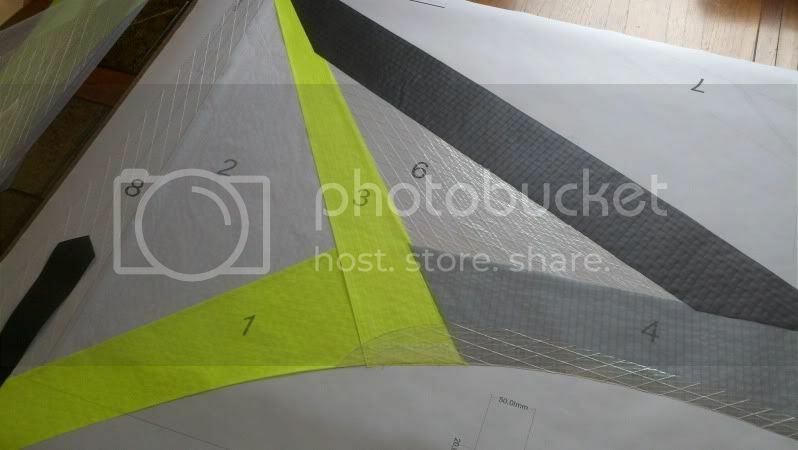 It was a bit unorthodox as I modified the plans to incorporate additional panels for Mylar and had to also create a special blueprint for laying down and aligning the entire central portion of the kite to properly install the Mylar spine window. I did not want a spine seam through the Mylar. I really loved how my Quartz in these colors looked in the sky so I used some charcoal to replace black and used basically the same color scheme. I agree! It's looking sharp, Lou! 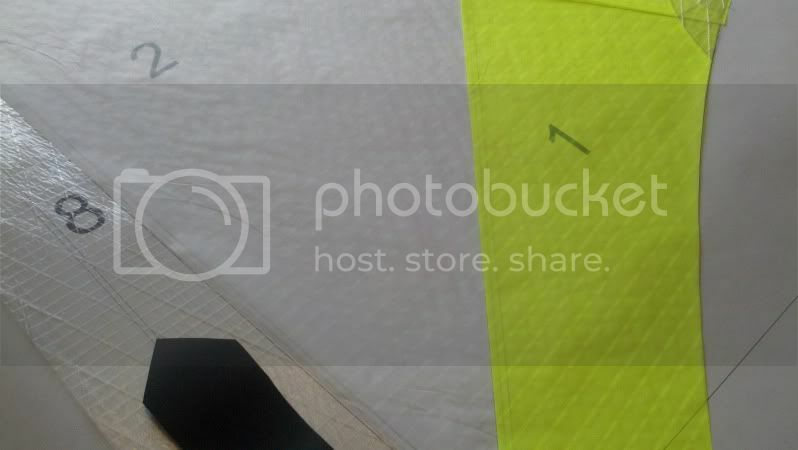 Is that florescent yellow? One question though. 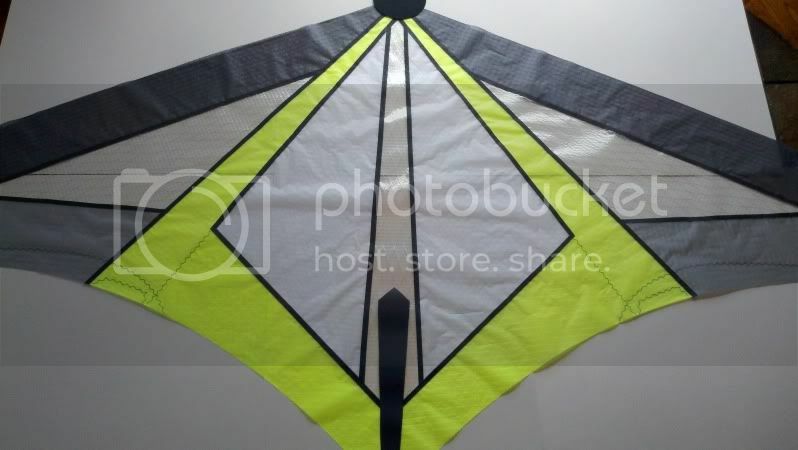 I wondered if I should create a Dacron spine pocket like with Christian Derefat Kites? 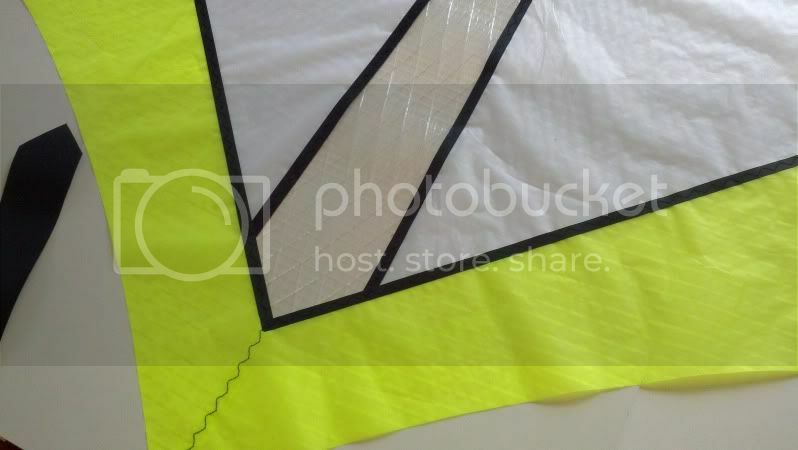 Or just Mylar reinforce the Nose and Tail ends and use the standard round Cordura shape for an all-in-one nose cap reinforcement and spine pocket? Keep in mind that the spine can work its way through cordura or seatbelt webbing if you don't use a pocket in the nose. Ok dacron pocket same as I have made before will be used then. Wasnt sure on what pattern should be used. 1inch strip over the nose or something more fancy? I just noticed the Velcro strap appears to be approx. 3/4in or maybe 20mm actually in width as well as the bottom of the Dacron portion. Is this correct and if so has anyone altered the pattern to fit 25mm(1 in.) Velcro instead. 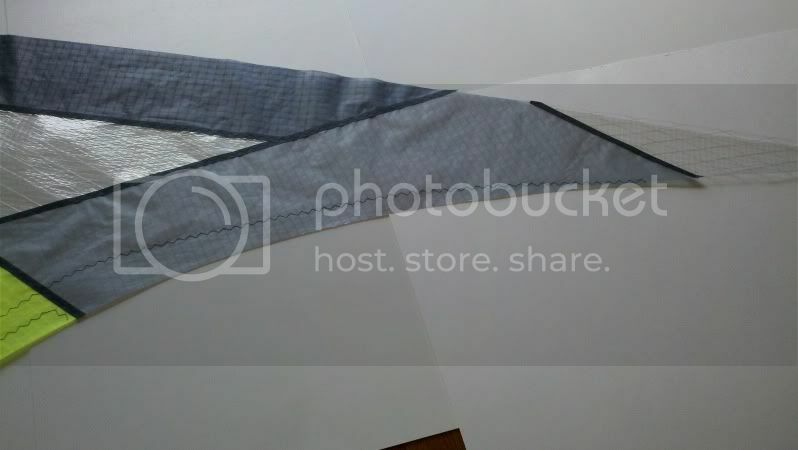 I am thinking about creating an altered Dacron piece to accommodate 25mm Velcro. I hot cut 25mm down to 20mm and it simply looks like $h!t. Any ideas would be helpful. Thanks Stuart. I'm drafting a new Dacron piece that will be 1 additional inch longer to give me a cleaner looking wrap to the back and will accommodate 1 in. Velcro. Thanks again for the confirmation. 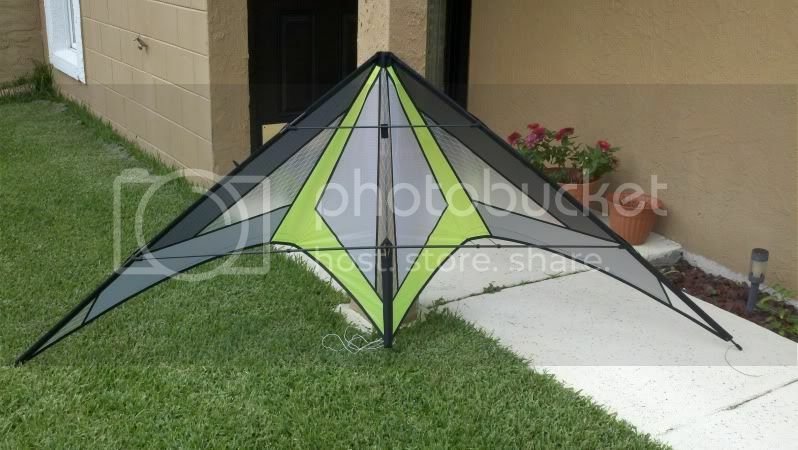 I could have finished the kite today likely but this frustrated me so that I've put the sail away until the weekend. 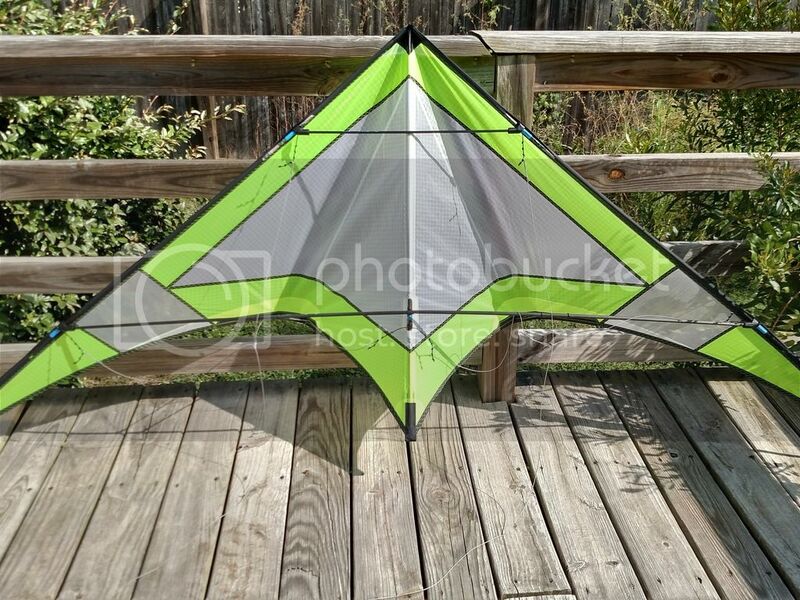 I definitely like kite building as a relaxing hobby, but as soon as it becomes frustrating time to take a break. Ok got to this point with the Sixth Sense but have fallen into some confusing issues build wise. 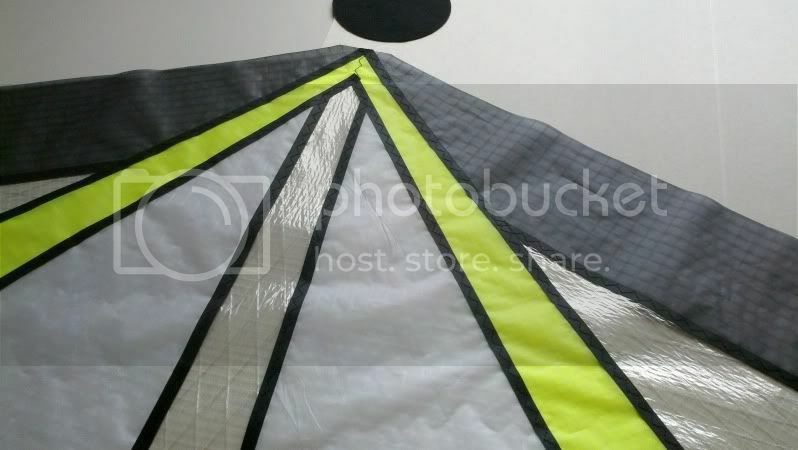 Although I will need to sew the nose cap again to bring the leading edge spars closer, I'm not sure what I was thinking, the kite still does not meet frame specifications at the top portion of the kite. 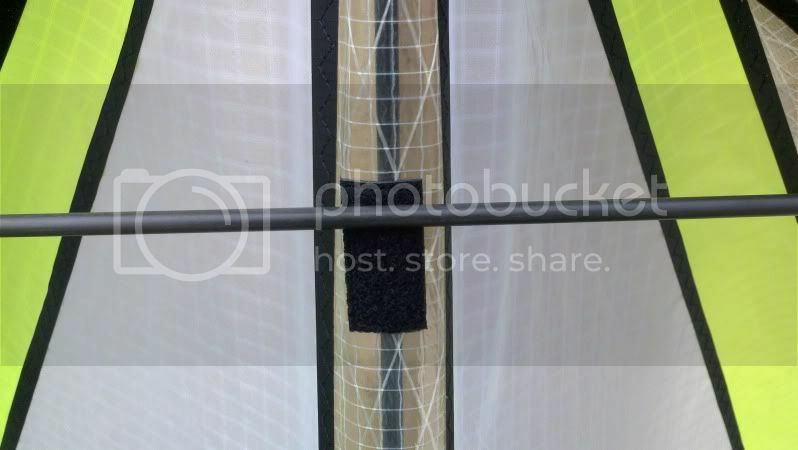 The upper spreader seems to pull the leading edges inward and doesn't come close to the upper spreader Velcro protection tab. 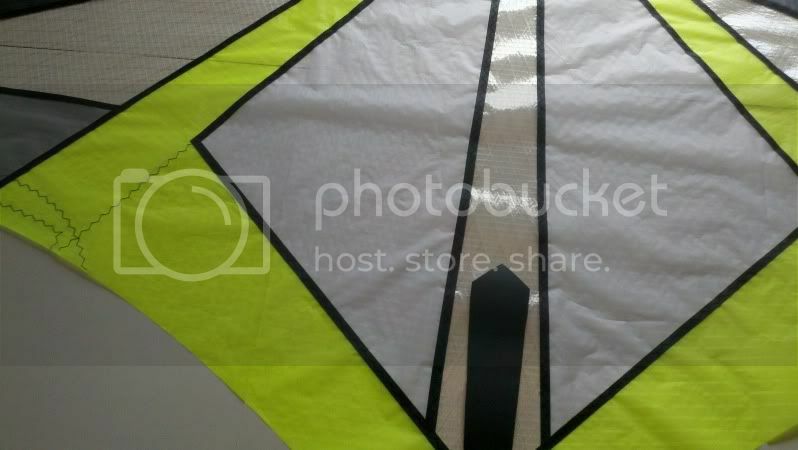 The sail was sewn to spec and checked repeatedly. 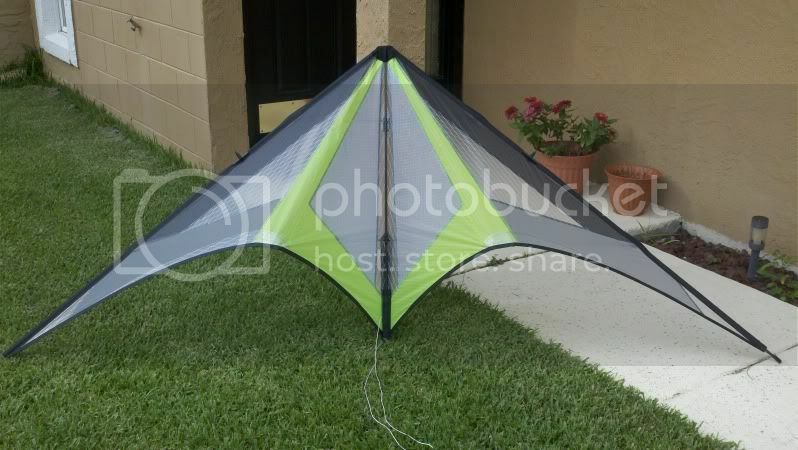 Only when I created a 590mm upper spreader and lowered the upper spreader connectors down a bit could I get the kite to look normal (as seen in the pictures below). Again the top isn't meeting the correct measurements. Any help on how I can go about figuring where to start to figure out my issue is greatly appreciated. Could not sewing the nose cap to allow the leadings edges to closely meet the spine cause that much of an issue? I will point out that having the leading edges pulling inward is actually intentional. Compare your pics to the majority of SS pics out there and I susect you'll see that the nose portion of your model is looking too wide. 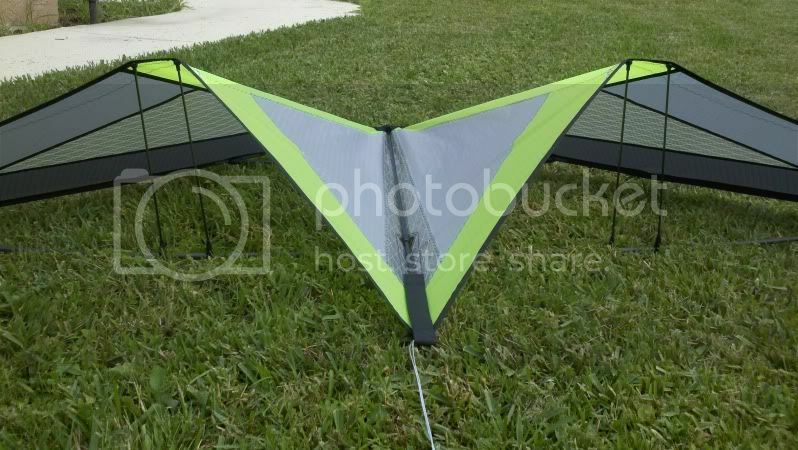 There are a number of kites and designs out there that utilize this... and create and 'S' shaped leading edge. 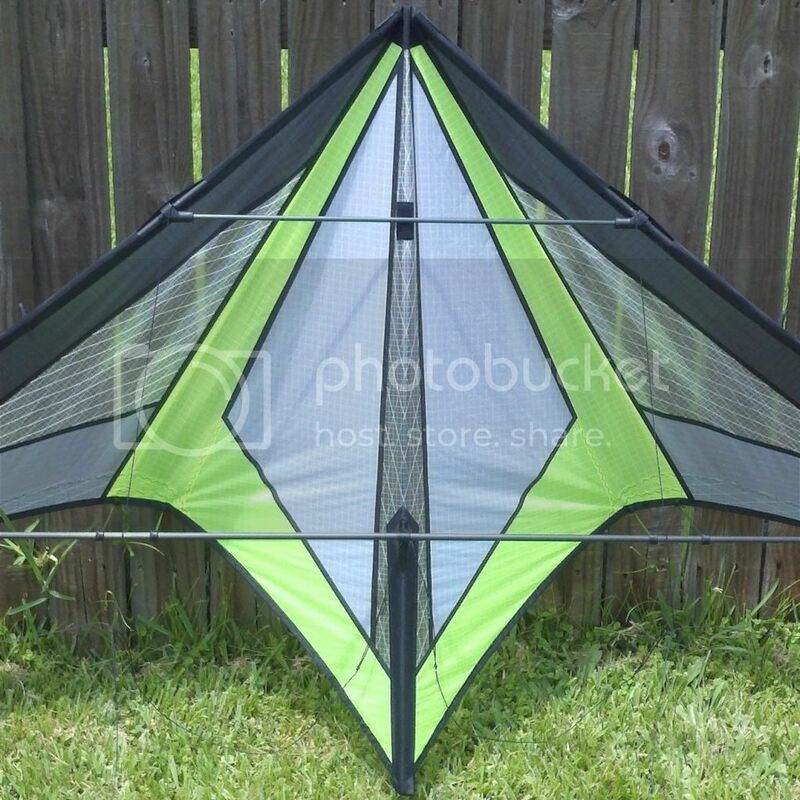 One of my favorite kites, the Focus Jinx uses this same technique. 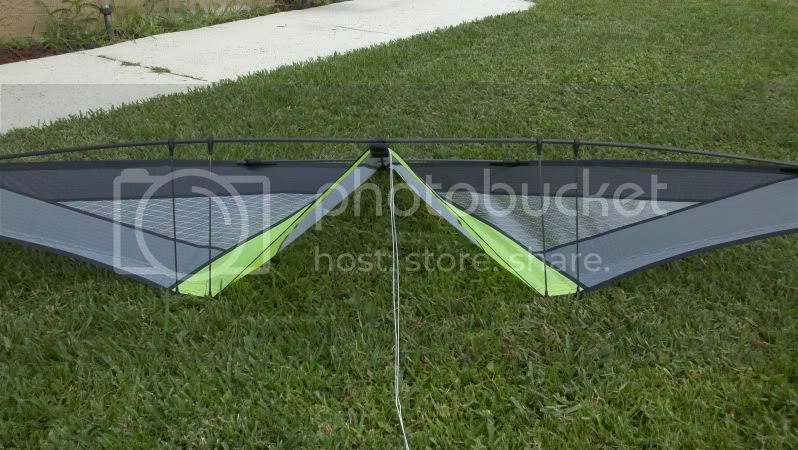 It creates a slightly loose area in the sail that will form a more pronounced air foil shape while in flight. I interpreted the nose for this build to be like the nose on the Invictus, without the small seam that keeps the spine from reaching the tip of the nose. My guess is that resewing the nose will straighten everything out. 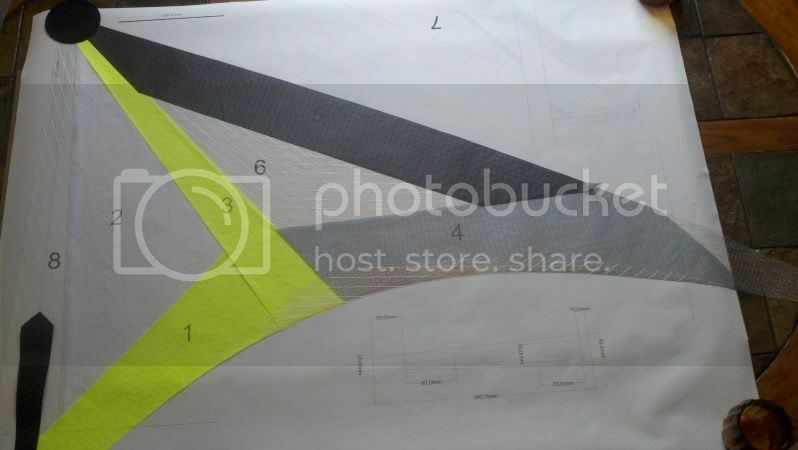 A pattern for the Invcitus is on the templates page of the plan.